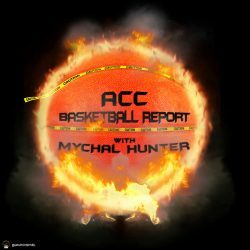 Coach Jim Larranaga received the first commit for his 2019 class this morning, receiving a verbal from combo guard Isaiah Wong according to Evan Daniels. Wong, a top 80 overall recruit, will be the likely successor to Zach Johnson at the off guard position in the 2019-20 season. This commitment has to feel nice for the ‘Canes staff as well as their fans as recruiting seemingly halted after the program was implicated in the Adidas scandal last year. Miami was unable to secure commitments from any freshmen in the 2018 recruiting period. Instead, they brought in graduate transfers such as the aforementioned Johnson, Oklahoma transfer Kameron McGusty and Wyoming transfer Anthony Mack who received a waiver and will play immediately.